Posted on December 26, 2018 by Mirabella S.
The Glass Castle is a memoir by Jeanette Walls describing her turbulent childhood years, and how she and her siblings survived poverty and neglect against all odds. Her father was an alcoholic who she longed to trust, but who let her down time and time again. Her mother was an artist with her head in the clouds, with little grip on the realities of hunger and child safety. The Walls family lived a “nomadic” lifestyle, often voluntarily living without a roof over their heads. Despite the many struggles of their childhood, the Walls children became successful in life. They succeed in spite of their parents. The tone of the novel is set when within the first chapter, Jeannette burns herself cooking food over an open flame (at age three) and her father subsequently breaks her out of a hospital. What follows are the many, some humorous, several depressing, exploits of Jeanette’s father Rex Walls. One of the main focuses of the memoir is Jeannette’s relationship with Rex, who cares for her deeply, but who can’t give up alcohol for his children. An ongoing question that the reader must ask is whether this love is genuine, and whether his stated care for Jeanette justifies his many flaws. Rex always promised his children that he would build them a house made entirely of glass- a glass castle. It is up to the reader to interpret whether this castle was ever intended to be built. This book truly is a must-read. It is not simply a novel; it is a recording of real life. It is full of danger and emotion, and brimming with moments that will make you laugh, and (quite often) cry. If you are looking for a page turner of a success story, look no further. 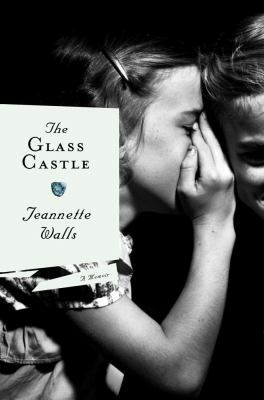 The Glass Castle by Jeannette Wells is available for checkout from the Mission Viejo Library. It can also be downloaded for free from Overdrive. I Am Malala is a story about Malala Yousafzai. Malala was born in Mingora, Pakistan. Mingora is a place where not many women have that many rights. Malala always wonder why this is and why she isn’t able to go to school. That rule wasn’t in place, but Mingora was taken over by the Taliban, and they enforced that rule and many other harsh ones. Because of the circumstances she is in, Malala starts writing blogs about what has happened under the pen name “Gul Makai”. Shortly after, the Taliban start getting forced out of town by the Pakistani army. The Pakistani army force the Taliban out of town, but they still stay in the rural areas on the borders of town. Then, someone at The New York Times sees Malala’s blogs and features her in a documentary. The documentary is about protecting girl’s rights and education. The Taliban see the documentary, and Malala becomes a target. As she’s on her way to her father’s newly reopened school, two Talibans stop the bus, and one shoots Malala in the head. Malala miraculously survives, and is taken to the United Kingdom for treatment. The news spread extremely quickly, and people around the world are now praying for Malala’s recovery. After Malala gets discharged from the hospital, she joins the rest of her family in Birmingham. She continues to this day to campaign for women’s rights and mainly for their education. 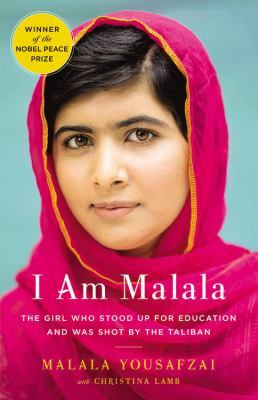 I Am Malala by Malala Yousafzai is available for checkout from the Mission Viejo Library. 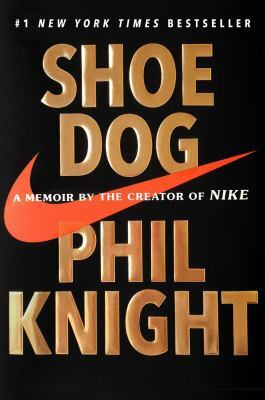 Shoe Dog is a book about Phil Knight and his journey of eventually creating one of the world’s biggest shoe and sportswear brands ever. Phil Knight was born on February 24, 1938 in Portland, Oregon. Growing up, Phil was always into running. He would frequently run the many trails around Oregon. Phil was also a key member of Cleveland High School’s track team. One day he decided to take a trip around the world, and that’s where his adventure started. He visited Japan in 1962 and discovered the brand of running shoes that was known as Tiger (Today the brand is known globally as Asics). Phil fell in love with the shoes and wanted to take them back to America to sell. He got a meeting with Onitsuka and was able to make a contract so that he could sell their shoes in America. Following this, Phil formed Blue Ribbon Sports with his track coach Bill Bowerman. The shoes were very well received and over the next few years Phil and Bowerman opened retail spaces in Santa Monica, California, and Eugene, Oregon. The business was growing very well with profits doubling year after year. Eventually, due to a lack of understanding and repeated issues, Phil and Bowerman split from Onitsuka and formed Nike. Nike’s first shoe, the Cortez, debuted at the 1972 Olympics. The Cortez was an instant hit. It was incredibly popular, and still is to this day. Shoe Dog is available for checkout from the Mission Viejo Library. 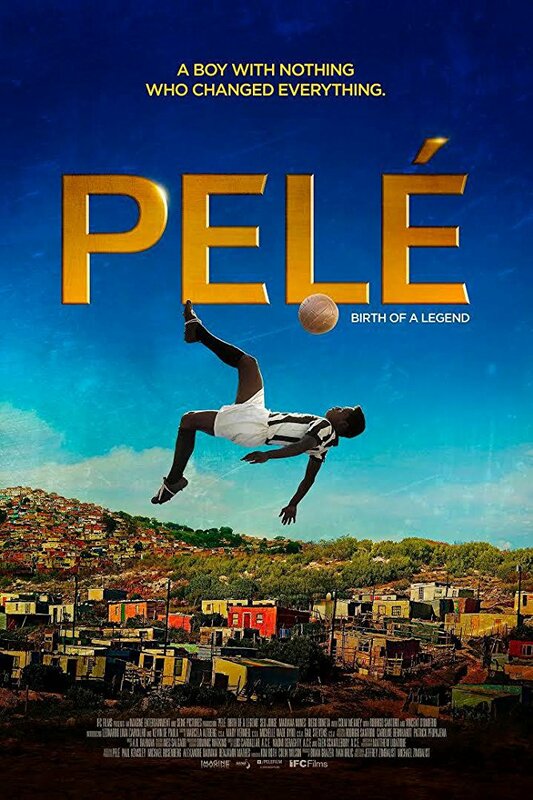 Posted on September 15, 2018 by Kobe L.
This movie follows the story of Edson “Dico” Nascimento, better known as the football legend Pele. This movie shows Pele’s life before his illustrious soccer career, back during his childhood in Brazil and eventual lead up to the 1958 World Cup. It shows the trials and obstacles Pele had to overcome before even playing for the National team. Whether it be because of his mother discouraging him from playing soccer to eventually losing interest in playing soccer at all, Pele’s path to football stardom seemed all but lost. However, and as can be seen in various moments throughout the movie, Pele refused to give up. Determination and undying hope would follow him everywhere he went and would be the fuel pushing him to pursue a career in professional football. This movie was a heartwarmer, showing his family life as a child, and showing who Pele was. Rather than just knowing him as a really good football player, it showed all the struggles he would face and just how difficult his journey truly was. What can be taken away from this movie is that you should always stay true to yourself and never once doubt in yourself and what you are able to do. Never give up in whatever happens, and no challenge is impossible to overcome. 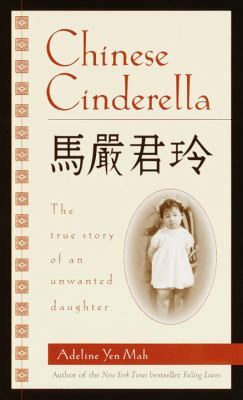 Chinese Cinderella is the story of an unwanted daughter in China during World War II. Adeline Yen Mah was hated by most of her family. Her mom died while giving birth to her, so she is seen as bad luck. Adeline’s father then remarries a horrible stepmother called Niang. Niang always puts her two children above Adeline and her siblings. The people Adeline goes to for comfort are Ye Ye and Aunt Baba. It is apparent that Niang is now the matriarch of the family. Niang frequently gets angry at Adeline and accuses her of multiple things. Adeline is also constantly at war with her older sister. They constantly fight about who gets what room and who sleeps where. Eventually their relationship does get better. Then, on Adeline’s sisters’ wedding, Niang goes through her presents and keeps a jade pendant and keeps it for herself. As Adeline is going to tell her sister about the pendant, Niang tells her to go out to the balcony with her. Adeline then learns that Niang let her sister keep the pendant. Adeline does extremely well in school winning several prizes for writing, but that isn’t enough to please her hateful parents. She then goes on to go to college with her brother and continues writing. Adeline’s life improves very quickly through this and she becomes very happy. Chinese Cinderella by Adeline Yen Mah is available for checkout from the Mission Viejo Library. Posted on August 24, 2018 by Kyle H.
When finding out something new about a person, it is best to hear stories in their own words. In doing so, you can find out their own thought process for decisions they had to make and their reasoning behind what they did. I discovered this when reading Decision Points by President George W. Bush. This book dove deep into the thought process of the 43rd President of the United States and relayed his own account of the many crises that occurred during his two terms. He organized the book into chapters relating to types of decisions he had to make versus writing the book chronologically. Some examples for chapter titles were Personnel and Campaigning decisions. It was a very good read and I suggest to everyone that they should check it out, regardless of your political tendencies or beliefs because regardless of party or platform every president has to make tough decisions to try to better the lives of American citizens so it is interesting to see President Bush’s own thoughts on the subject. A few weeks ago I actually had the opportunity to go out to Dallas and participate in Camp 43 at the George W. Bush Presidential Library on the SMU campus. Twenty-three students and I were given scenarios in which to make decisions under a time limit and understand the good and bad consequences of what we decided. The camp lasted three days and we heard from a variety of different speakers and participated in a variety of decision making scenarios. I had a great time and it was so fascinating to combine what I already know, what I read in Decision Points, and what I learned at camp to be able to make better decisions in my life and in my career later in life. 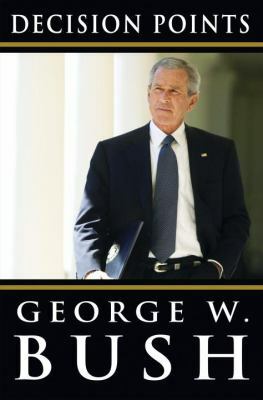 Decision Points by George W. Bush is available for checkout from the Mission Viejo Library. It can also be downloaded for free using Overdrive. Posted on March 23, 2018 by Phoebe L.
After watching the movie The Pursuit of Happyness, I began to realize how important it is to never give up and always keep on trying. This movie is actually based off of a true story which made the movie even cooler to watch. The movie is set during the 80’s in San Francisco. It revolves around Chris Gardner, portrayed by Will Smith, who spent his life savings on portable bone density scanners. Throughout the movie he’s seen going from doctor to doctor, attempting to sell at least two each month, while taking care of his five-year-old son Christopher Jr. who’s played by the young Jaden Smith. However, it’s not as easy as it seems, as Gardner is constantly rejected by doctors. With the difficulty of selling the machines each month, the constant financial demand begins to put a wall up between Chris and his wife Linda. Gardner eventually lands an internship with Dean Witter Reynolds to be a stockbroker. This immensely displeases Linda even more, which causes her to make a decision to move away to New York. This leaves Chris, a now single-dad, to take care of his son. Since they don’t have enough money to pay the rent of their house, they’re forced to move out. They end up staying in different places like a motel, a homeless shelter, and even a restroom at a BART (subway) station. In the end, Chris ends up getting the job at the company to be a stockbroker and ends up forming his very multimillion-dollar brokerage firm. This movie shows the struggles that people face every day, and it taught me to never give up, no matter what the obstacle might be. 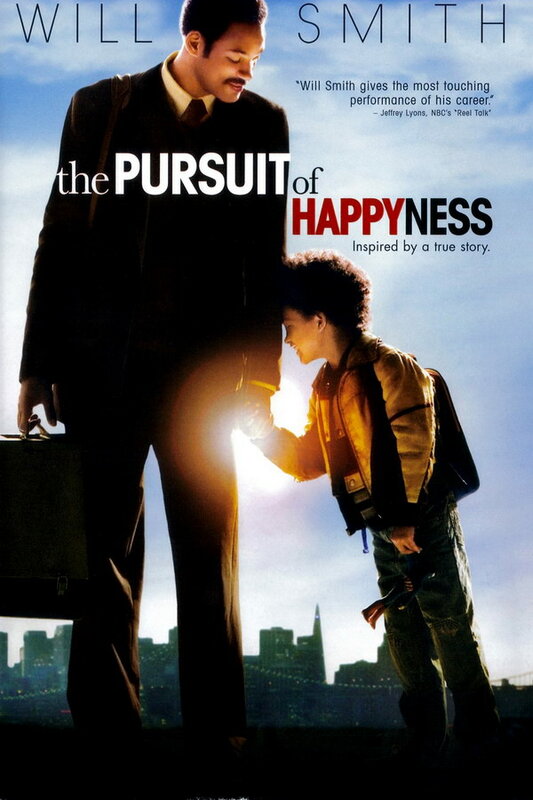 The Pursuit of Happyness is available for checkout from the Mission Viejo Library.